тодом частотной модуляции несущей в полосе до 40 кГц. поднесущей канала синхронизации по фазе и такту на частоте 2915 Гц. сдвиге фаз поднесущих от посылки к посылке. ва за посылку, что в сумме составляет 2*15*75=2250 бит в секунду. данных, а также управляет процессом автоматической передачи данных. ции, информационной части и стоповой кодовой комбинации. ления приемного канала и синхронизации демодулятора по фазе и такту. 180 градусов на каждом такте. Двоичные информационные слова формируются в ЭВМ блоками по 24 бита. и снова начинает цикл работы сети. отсутствии в цикле хотя бы одного абонента работа сети прекращается. ту с длительностью эrлементарных посылок 22 мс. Спасибо за инфу, но на мой взгляд ее надо было разместить в раздел Форум —› NATO Scanner —› Link 11., хотя если у Вас есть инфа про новые Боевые Информационные Управляющие Системы (БИУС), такие как Link 22, то Вы несомненно правы. Боевая информационно-управляющая система (БИУС) - комплекс электронно-вычислительной аппаратуры и др. технических средств на боевом корабле, БТР, Танке, предназначенный для автоматизированной выработки рекомендаций по управлению оружием и маневрированию в целях наиболее эффективного использования боевых и технических возможностей. осуществление боевых и навигационных расчётов. Информационно-управляющая система (ИУС) — цифровая система контроля или управления некоторым реальным объектом. Универсальными вычислительными системами (ВС) решаются задачи, не связанные с необходимостью принятия решения в реальном времени (расчет, моделирование, офисные задачи). Все остальные задачи попадают в область ИУС. Хотя разделение задач достаточно условно, ИУС, решающие разные задачи, имеют четко выраженную специфику. специфические требования к проектированию и отладке. Следует отметить, что многочисленные случаи применения одного и того же названия к совершенно разным и не имеющим друг к другу отношения техническим системам (например — Ангара, Алмаз и т. д.) являются результатом вполне сознательно проводимой политики обеспечения секретности, а не проявлением беспорядка и неорганизованности в соответствующих структурах. На этапе выбора названия тем, кто выбирает — не положено знать о существовании омонимичных разработок в другом секторе ВПК, а те, кому положено знать о существовании омонимов — находят его скорее полезным, чем вредным. Tactical data links involve transmissions of bit-oriented digital information which are exchanged via data links known as Tactical Digital Information Links (TADIL). The TADIL Program applies to all bit oriented message formats used in support of joint and combined operations for Joint Interoperability of Tactical Command and Control Systems (JINTACCS). The TADIL Program facilitates information exchange between the United States and Allied commands. The Army uses TADIL messages to exchange information with other services and agencies and with other Allied users. A TADIL is a Joint Chiefs of Staff (JCS) approved standardized communication link suitable for transmission of machine-readable, digital information. The United States Navy uses the NATO designation, Link-16, when referring to Tactical Digital Information Link (TADIL). Link-16 is synonymous with TADIL J. The latter term is employed only by United States Joint Services. Similarly, Link-11 is synonymous with TADIL A and Link-4A with TADIL C.
Tactical Digital Information Link (TADIL) A/B [Link-11] employs netted communication techniques and a standard message format for exchanging digital information among airborne [TADIL-A] as well as land-based and shipboard [TADIL-B] tactical data systems. Link-11 data communications must be capable of operation in either the high-frequency (HF) or ultra-high-frequency (UHF) bands. TADIL-A/B is used by a number of intelligence platforms such as RIVET JOINT that conduct signal intelligence (SIGINT) data collection, including communications intelligence (COMINT) and electronic intelligence (ELINT). 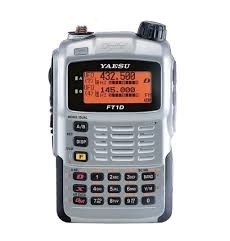 Link 11 provides high speed computer-to-computer digital radio communications in the high frequency (HF) and ultra-high frequency (UHF) bands among Tactical Data System (TDS) equipped ships, aircraft and shore sites. Currently the Fleet is using a number of different data terminal sets to provide Link 11 functionality, these include the AN/USQ-74, AN/USQ83, AN/USQ-120, AN/USQ-125 and other Data Terminal Sets. The new Common Shipboard Data Terminal Set (CSDTS) card set provides all of the capabilities of the older Link-11 data terminal sets including Kineplex, Single Tone, and Satellite transmission capabilities. It also incorporates multi-frequency Link 11 enhancements, allowing the operation of up to four parallel channels among participating units. The CSDTS card set will be included in the Common Data Link Management System, described below. Link 4 is a non-secure data link used for providing vector commands to fighters. It is a netted, time division link operating in the UHF band at 5,000 bits per second. There are 2 separate "Link 4s": Link 4A and Link 4C. Link 4A TADIL C is one of several tactical data links now in operation in the United States Armed Services and forces of the North Atlantic Treaty Organization (NATO). Link-4A plays an important role by providing digital surface-to-air, air-to-surface, and air-to-air tactical communications. Originally designated Link-4, this link was designed to replace voice communications for the control of tactical aircraft. The use of Link-4 has since been expanded to include communication of digital data between surface and airborne platforms. First installed in the late 1950s, Link-4A has achieved a reputation for being reliable. But Link-4A's transmissions are not secure, nor are they jam-resistant. However, Link-4A is easy to operate and maintain without serious or long-term connectivity problems. Link 4C is a fighter-to-fighter data link which is intended to complement Link 4A although the two links do not communicate directly with each other. Link 4C uses F-series messages and provides some measure of ECM resistance. Link 4C is fitted to the F-14 only and the F-14 cannot communicate on Link 4A and 4C simultaneously. Up to 4 fighters may participate in a single Link 4C net. It is planned that Link 16 will assume Link 4A's role in AIC and ATC operations and Link 4C's role in fighter-to-fighter operations. However Link 16 is not currently capable of replacing Link 4A's ACLS function and it is likely that controlled aircraft will remain equipped with Link 4A to perform carrier landings. Message standards are defined in STANAG 5504 while standard operating procedures are laid down in ADatP 4. Link-16 is a relatively new tactical data link which is being employed by the United States Navy, the Joint Services, some nations of the North Atlantic Treaty Organization (NATO) and Japan. Link-16 uses the Joint Tactical Information Distribution System (JTIDS) which is the communications component of Link-16. The E-8C Joint Surveillance Target Attack Radar System (Joint STARS) data links such as TADIL-J as well as the Surveillance Control Data Link (SCDL) to pass information to the Ground Station Modules (GSMs), which are the Army component for the Joint STARS. Link-16 does not significantly change the basic concepts of tactical data link information exchange supported for many years by Link-11 and Link-4A. Rather, Link-16 provides certain technical and operational improvements to existing tactical data link capabilities and provides some data exchange elements which the other data links lack. 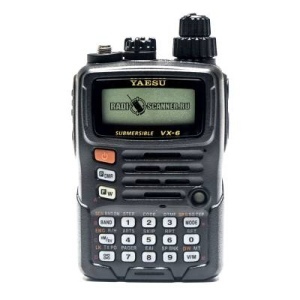 It provides significant improvements as well, such as jam resistance; improved security; increased data rate (throughput); increased amounts/granularity of information exchange; reduced data terminal size, which allows installation in fighter and attack aircraft; digitized, jam-resistant, secure voice capability; relative navigation; precise participant location and identification and increased numbers of participants. LINK-16 is DoD's primary tactical data link for command, control, and intelligence, providing critical joint interpretability and situation awareness information. Link 16 uses a Time Demand Multiple Access (TMDA) architecture and the "J" message format standard. The "J" series of message standards are designated as the Department of Defense's primary tactical data link, according to the Joint Tactical Data Link Management Plan (JTDLMP). The JTIDS terminal is one of two terminals providing LINK-16 capability to the soldiers, sailors, and servicemen in the field. The other LINK-16 terminal is the Multifunctional Information Distribution System (MIDS) terminal--a joint / international ACAT-1D program. The Fleet is currently using AN/URC-107 (V) Joint Tactical Data Link System (JTIDS) terminals to provide ships, aircraft and shore sites with Link 16 capability. JTIDS is an advanced radio system that provides information distribution, position location, and identification capabilities in an integrated form. JTIDS distributes information at high rates, in an encrypted and jam-resistant format. JTIDS is a multi-service and multi-national system. US participation includes Army, Navy, Air Force and Marine Corps. The Multi-functional Information Distribution System Low Volume Terminal (MIDS/LVT) is a five-nation cooperative program that provide a third generation Link 16 system that satisfies U.S. and Allied requirements. MIDS uses new technology to reduce system size and weight. The TADIL J Range Extension (JRE) program addresses the requirement to pass secure/anti-jam data and voice via a common means in a timely manner beyond line-of-sight (BLOS) without the use of a dedicated airborne relay. This requirement is documented in the Joint Requirement Oversight Council TMD Mission Need Statement 064-91, 18 Nov 91 and Air Force TMD Mission Need Statement MNS-004-91, 1 Oct 91. It has been incorporated into the Link-16 Operational Requirements Document, CAF 315-92 III-D dated 2 Nov 96. Two reasons for this requirement. First, the current method for extending the range of a JTIDS network BLOS is to employ airborne assets as relays between zones. This allows deployment of a very large (geographically), integrated JTIDS network that provides interconnectivity between all the elements in a theater. However, use of airborne relays is wasteful of theater assets and consumes network capacity that could be used for reporting additional information. Second, studies show that JTIDS has the technical capacity to support the TMD communications requirements, but load mitigation strategies should be explored to improve network performance. The concept envisions JRE as a gateway between existing JTIDS and satellite terminals. The gateway’s physical configuration would be determined by individual service requirements. It could either be fully integrated into an existing host system, a separate processor sharing common hardware and software, or a stand alone system. The JTIDS terminal would be linked to the JRE gateway for transmitting and receiving TADIL J messages from a particular JTIDS zone. Linked at the other end of the gateway will be the satellite terminal whose function is to transmit and receive messages via satellite. Current studies have focused on two employment applications of the JRE gateway: 1. In-theater Reachback: This application is used to transmit the air surveillance and ballistic missile information from a forward area of a theater to a remote command center located beyond line-of-sight of the forward JTIDS elements. 2. Inter-zone Connectivity: This application is used to transfer air surveillance and ballistic missile information between localized areas of a theater operations. The Air Force is pursuing a prototype capability using both Ku and SHF bands. Current planning calls for the AF Prototype to be a COTS workstation with the appropriate hooks to allow it to interact with a JTIDS terminal and a satellite terminal. The main prototype development will be the gateway software which will reside in the workstation. The software to be developed includes message forwarding, buffering, prioritization, protocols, etc. that would allow the gateway to perform the JRE functions. Two gateways will be procured so that the system can be tested and demonstrated in a zone-to-zone capability. The prototype program development was planned for 18 months. The contract was awarded on the 23 December 1997 to Raytheon Corporation with Titan/Eldyne Corporation as its subcontractor. Air Combat Command (ACC) has expressed a keen interest in the potential capability of JRE to provide TADIL J information to ingressing, egressing, and transiting combat aircraft. For JRE to add this capability to its tool bag, the program office is initiating a study in FY98 to assess the requirements and feasibility for this capability. Also, the joint community has expressed an interest in JRE using not only satellite communications but also UAVs and terrestrial communications to accomplish the long haul link. Link 1 is a duplex digital data link primarily used by NATO’s Air Defence Ground Environment (NADGE). It was designed in the late 1950s to cater for point-to-point data communication. Link 1 mainly provides for exchange of air surveillance data between Control and Reporting Centres (CRCs) and Combined Air Operation Centers (CAOCs)/Sector Operation Centers (SOCs) and has a data rate of 1200/2400 bit per second (bps). 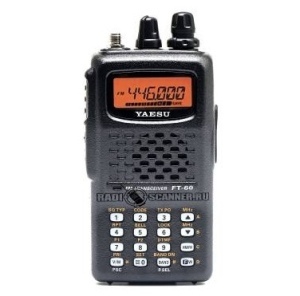 It is not crypto secure and has a message set (S-series) limited to air surveillance and link management data. Within NATO, Link 1 is used by NADGE systems (NADGE/GEADGE/UKADGE, etc). Most mobile CRCs are also equipped with Link 1 capabilities. Additionally most NATO Nations employ receive-only equipment at air bases and SHORAD centers for Early Warning purposes. Message standards are defined in STANAG 5501 while standard operating procedures are laid down in ADatP 31. Link 14 is a broadcast HF teletype link for maritime units designed to transfer surveillance information from ships with a tactical data processing capability to non-tactical data processing ships. The design of the teletype transmission allows reception over very long ranges. Link 14 provides the capability to broadcast picture compilation and status information for use in units unable to receive Link 11 transmissions either direct or via an interface, e.g. non-Tactical Data System (TDS) units. 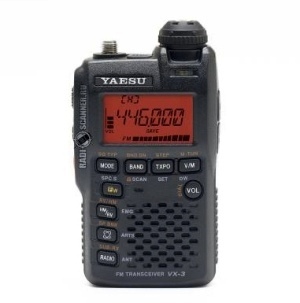 The Link can be either HF, VHF or UHF dependent on unit-communication fits. More than one Link 14 net, with or without separate transmitting units, may be set up if desired, e.g. to split air and surface/sub-surface data. 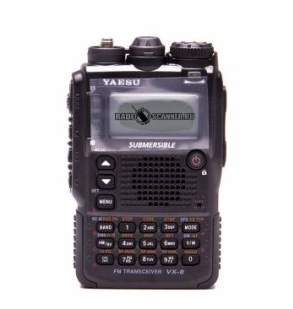 However, some units will be limited by communications fits in their capability to receive two nets. Few units will have the capability to transmit on two separate Link 14 channels at the same time. Selection of the Link 14 transmitting unit will depend on force disposition stationing of non-TDS units, Link 14 frequency, etc. Each nation within NATO has its own Link 14 transmission formats which are promulgated in ADatP-14. Message protocol is defined in STANAG 5514. Link 22 is the next-generation NATO Tactical Data Link, and is also referred to as the NATO Improved Link Eleven (NILE). Link 22 is a multi-national development program that will produce a "J" series message standard in a Time Domain Multiple Access architecture over extended ranges. The Universal Link System (ULS) provides a Data Link Processor (DLP) that can be configured to include MIL-STD/NATO Standard Data Links (Link 1, Link 11, Link 11B, Link 16, IJMS and ATDL-1) in any combination required by the customer. The system can also be configured to accept sensor inputs (ESM and Radar) as well as implement TADIL-J Joint Range Extension Application Protocols (JREAP) and Variable Message Format (VMF). Link 22 is planned for future implementation. The system performs forwarding of remote and local information between all the Data Links thus assuring a Common Recognized Tactical Picture (RTP) for all linked units. The ULS can be easily interfaced to an existing C2/C3 System to provide Multi-Tactical Data Link connectivity and Network Enabled Capability required for Joint and Coalition operations. The ULS optionally can provide one or more single or dual-screen Command and Control (C2) workstations that present a graphical display of the land, air, space, surface and sub-surface tactical situation and a Human Machine Interface (HMI) for configuring and controlling the ULS and its communications suite. This ergonomic and efficient HMI gives the operator the ability to easily display detailed track data. The comprehensive menu system provides the capability to send and receive status messages, orders, commands, and weapons employment and status information over all active data links. Optionally, wireless remote Tactical Displays can be hosted on notebook computers. The ULS is a first step in achieving Inter-Service interoperability and provides the basis of a truly Integrated Tactical Environment required for Network Centric Operations. The ULS can be configured as an affordable single data link solution for an individual unit, and deployed as a land based, sea-borne or airborne platform. As the unit’s operational link requirements expand, that single link capability can easily be increased to multiple links with forwarding by merely adding hardware and software modules to the existing equipment. The System's 'Plug-and-Play' architecture is specifically designed for expansion and offers the ability to keep the same physical footprint of the equipment while increasing the operational capability. The ULS includes a Data Link Configuration Planning Tool which gives tabular and graphical information about units participating in the various links and identifies potential problems such as circular links. The ULS is delivered with a comprehensive Operator Manual that clearly explains, in words and graphics, all facets of ULS operations, from initializing a data link to understanding the data that is displayed when a track is ‘hooked’. Topics are well organized and succinctly stated to facilitate training of a novice operator or quick reference by the experienced operator. The ULS is a fielded operational system currently in use within NATO and is available for export to approved Coalition and Partners for Peace participating nations. The ULS is a cost effective force multiplier that provides increased situational awareness and improved control of tactical assets. The ULS is adaptable to the Customer’s unique configuration with MIL-STD/NATO Standard and Customer-defined Links. The system’s expandability and adaptable configurations make it a viable solution for any data link requirement.